Clear + Brilliant is a gentle laser that is for men and women of all ages and skin types. It refreshes your skin from the inside out. The laser energy creates millions of microscopic treatment zones in the upper layers of the skin, replacing damaged skin with healthy, younger looking tissue. A lot of work goes into keeping you looking like you – lotions and creams, trainers and stylists – all focused on keeping you looking your best. Clear + Brilliant is a powerful treatment you can add to your regimen to make it a little easier to keep your skin looking its youthful best. Offered exclusively through licensed skincare professionals, Clear + Brilliant is proven to help improve tone, texture and pore size appearance. You’ll see and feel the difference; smoother skin that will make you look and feel great. Clear + Brilliant — Get the Glow Back. 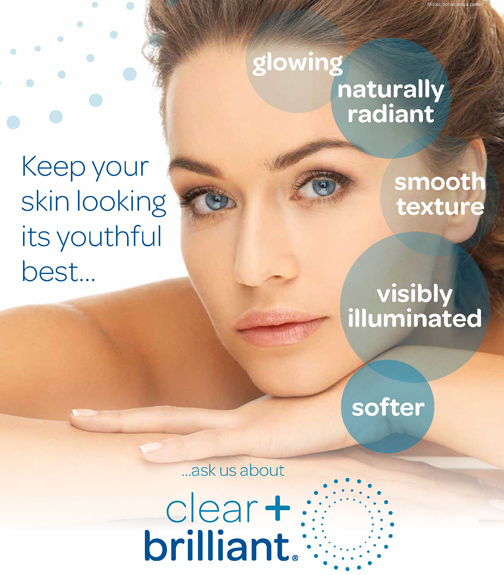 Clear + Brilliant is based on advanced technology, but getting Clear + Brilliant treatments is simple. 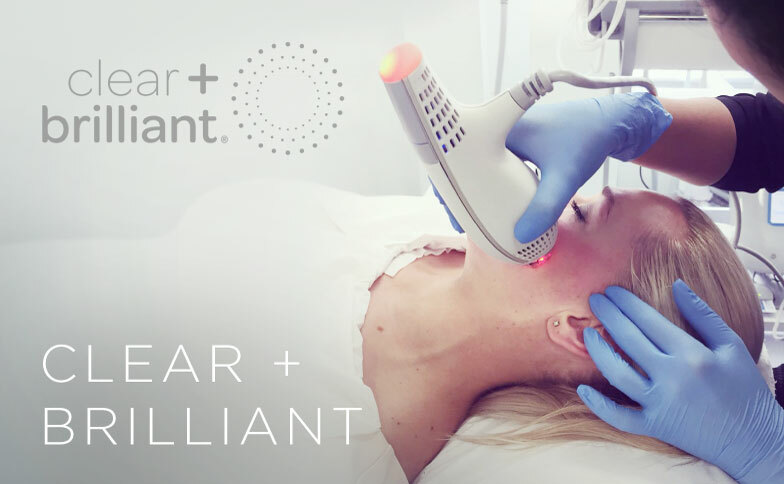 All treatments begin with a consultation with your licensed skin care professional to see if Clear + Brilliant is right for you – and to pinpoint some of the key trouble spots it can help address. From there, your provider can recommend a Clear + Brilliant treatment regimen that’s perfect for you. will talk to you about any products to avoid following treatment.